Murder of Mohammed Afrazul in Rajsamand, Rajasthan leadto protest by the muslims of the area on the day of court trial in the Udaipur court. 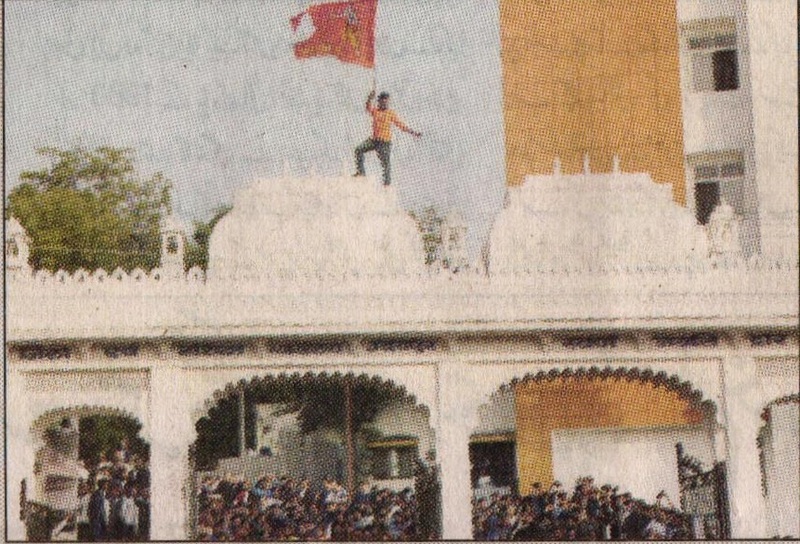 Some men who belonged to hindutva group hoisted saffron color flag on the dome of the court saying "Vande Mataram" and "Jai Shri Ram". They also said threaten the muslims to get into their houses and kill them. Stones were pelted upon the police to control which it had to resort to lathi-charge.